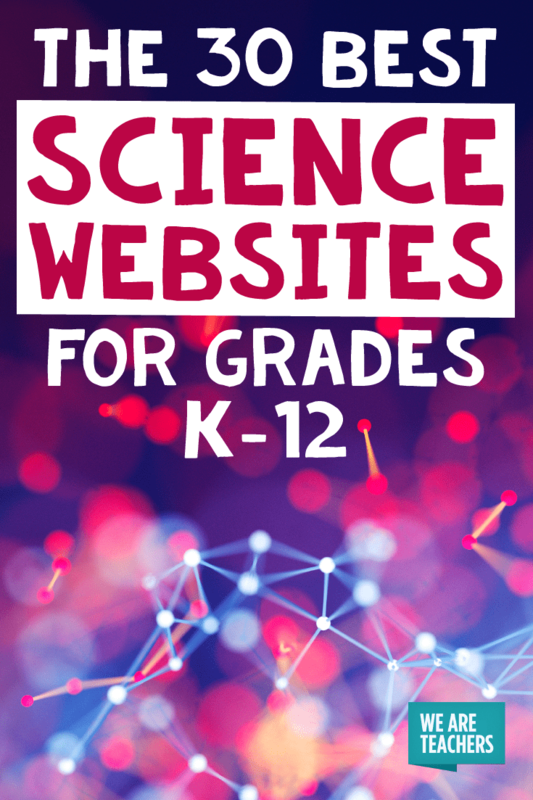 What are the best science websites for your K–12 lessons? Here are the ones I turn to again and again. Perfect for middle school through college, this website hosts case studies, clicker questions, jigsaw activities, labs, and demonstrations. They are easily searchable and ready to help your students solve real world problems. 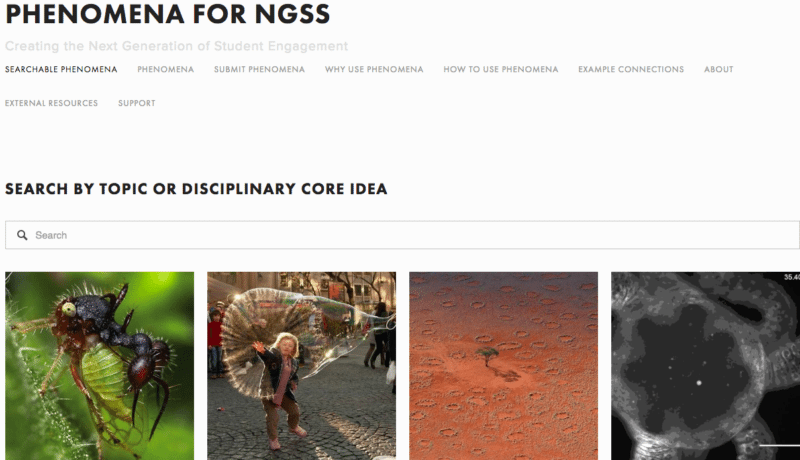 Trying to find that perfect phenomena for your three-dimensional NGSS lesson? Check out this site to engage students using natural curiosity to guide the way. “Data Nuggets are free classroom activities, co-designed by scientists and teachers, designed to bring contemporary research and authentic data into the classroom. Data Nuggets include a connection to the scientist behind the data and the true story of their research. Each activity gives students practice working with ‘messy data’ and interpreting quantitative information. Students are guided through the entire process of science, including identifying hypotheses and predictions, visualizing and interpreting data, making evidence based claims, and asking their own questions for future research. Because of their simplicity and flexibility, Data Nuggets can be used throughout the school year and across grades K-16, as students grow in their quantitative abilities and gain confidence.” Sounds like real science to me! Bozeman Science resources, particularly the clear, standards-aligned videos, saved me during my first year teaching AP Chemistry. They allowed me, as well as many others, to flip my classroom and provide additional support for struggling learners. This site has you covered, no matter what you teach. Each science subject is divided into major topics and resources are neatly categorized and numerous as shown above after a quick search for atomic theory. You may be familiar with HHMI’s free movies and posters given away in copious amounts at conferences, but if you haven’t utilized their website, your students are missing out. Not only are their films available to stream from the site, they have 3-D interactives, virtual labs, and printable activities for you to use. If you need a template for lab reports, ideas for your biology club, pacing guides or lessons for biology, Pre-AP Biology or AP Biology, this is the place to start. In the same vein as Biology Junction, an actual high school teacher developed Biology Corner. The layout is visual and Pinterest-esque, and the content is novel and includes curated resources from around the web paired with extra practice and presentations and as well as ready-to-use investigations. Sounds odd I know, but this robust site hosted by Stanford University utilizes sea urchins as an engaging entry point to life science concepts ranging from basic biology (introductory microscopy and predator-prey relationships) to university-level curriculum (gene function in embryos). This site’s evolution lab makes phylogeny and evolutionary history accessible to all students while scaffolding an understanding of the fossil record, the role of DNA in evolution and an introduction to biogeography. 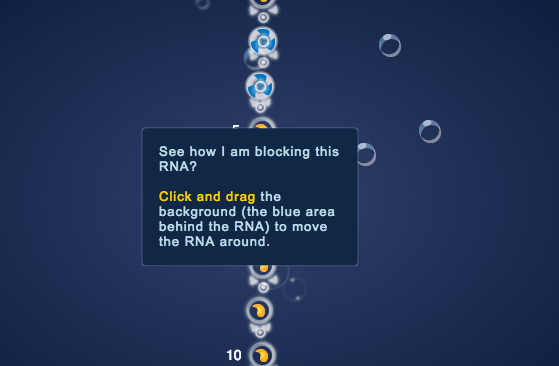 Your students can also play the role of a molecular engineer by solving RNA folding puzzles (shown above). Bookmark this one! I have been a member of this organization since they formed a few years ago, and they produce consistently high-quality resources including labs, demonstrations and activities. The best part is their resources are organized by grade and topic—including tons for elementary school teachers, too. Don’t let the name fool you. Sure, this site is perfect for middle school learners, but if you teach introductory chemistry or physical science, the level of materials is perfect for grades 9-10, as well. Lesson plans are easy to find and some are even available in Spanish for English language learners! 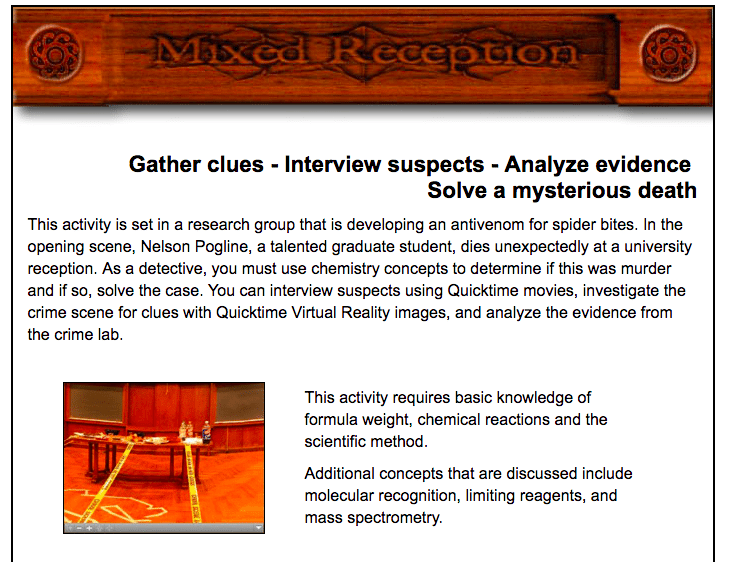 Like most chemistry sites, virtual labs and lesson plans are freely available, but ChemCollective stands out with their scenario-based activities and forensics tie-ins with activities like the “Mixed Reception” Murder Mystery. Chemdemos are virtual interactives for more advanced chemistry students complete with particulate models and real-time data help you get through labs that you may not have sufficient materials to complete. They can also give your students extra practice at home before or after “wet” labs. The Acids and Bases content was an AP Chemistry life-saver for me. 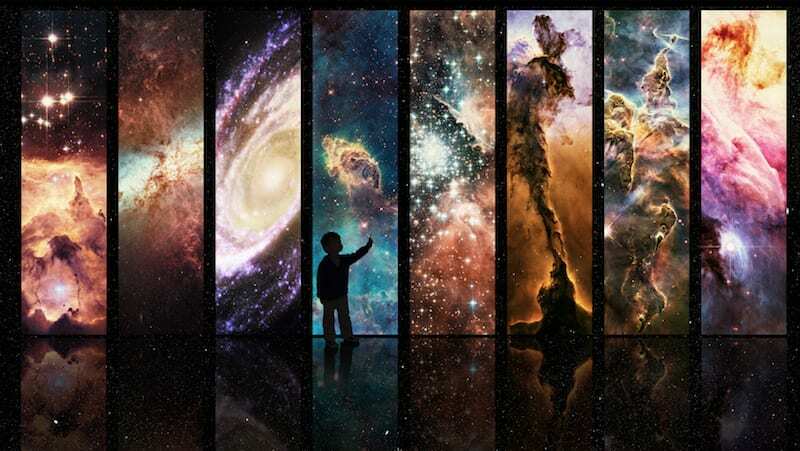 This site facilitates a microscopic understanding of our macroscopic world. 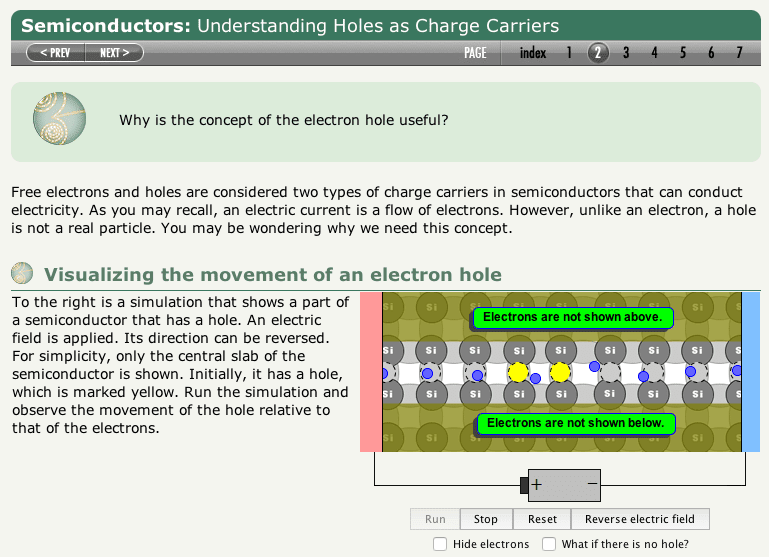 I was blown away by the Semiconductor and Chemical Bonding Modules in particular. 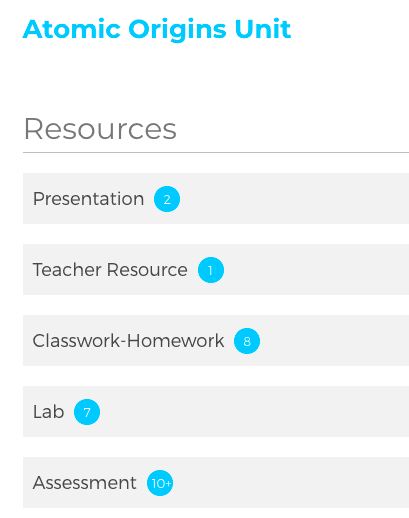 All of the modules contain embedded assessments to keep your students on track and inform you of their progress. The Annenberg Interactives available for Earth Science are staples in my high school Earth Systems course. The Dynamic Earth Interactive takes students through a visual feast to teach Earth’s layers and plate tectonics, and it can be extended through the ideas presented in the Rock Cycle, and Volcanoes Interactives. With K–12 resources and high-interest activities like What did T. rex taste like? this site is my first stop for resources on Earth’s history, evolution, and fossil record. 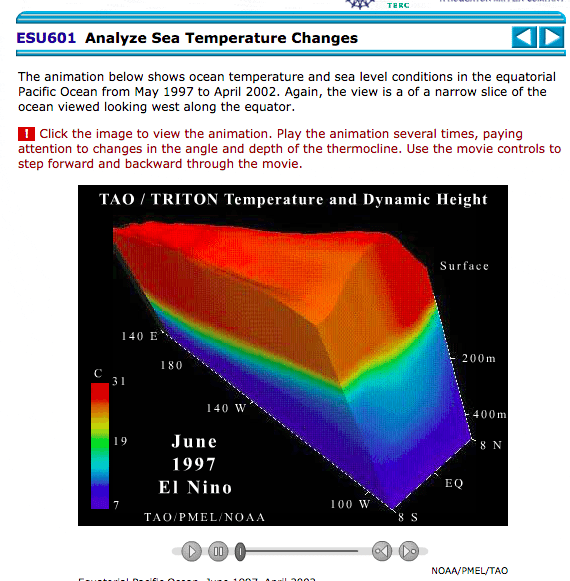 Thoroughly covering all of earth science, including meteorology, oceanography, and astronomy, this site’s investigations take students through a series of pages that incorporate reading, animations and real data to introduce or extend topics, including tricky ones like El Niño and Sunspots. Most environmental science issues spring from human population. 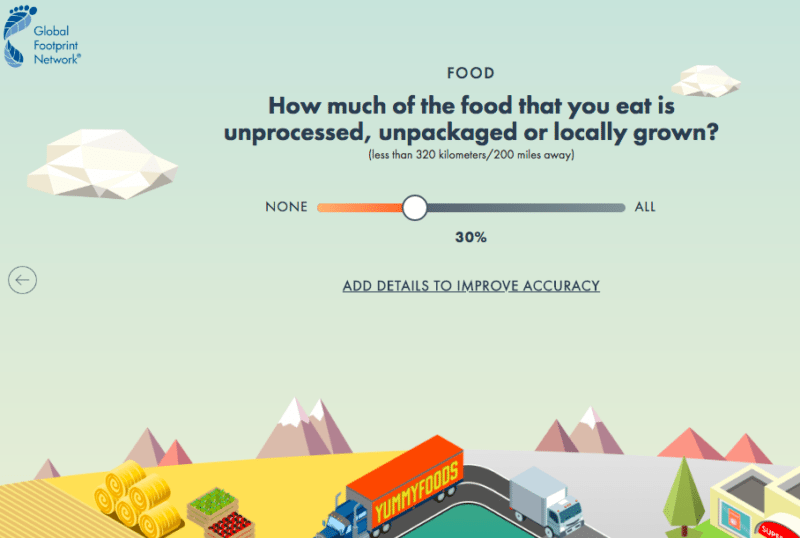 This site helps to build a firm foundation so you can fully explore pollution, ecology, and biodiversity. It boasts interactive maps, a “Find a Lesson” feature, and materials available in Spanish. As my textbooks became older and out-of-date, I used NEED’s resources to provide accurate energy usage data and information on energy technological advances through their free downloadable Energy Infobooks. Resources are available for primary through high school and include games, kits, and math extensions. Calculating ecological footprints is the first activity I complete with my AP Environmental Science students each year. The questions are relatable to daily life and the quiz can be retaken to analyze how lifestyle changes impact footprint. This semester I have taken on my first physics class, and so I have turned to the Physics Classroom. 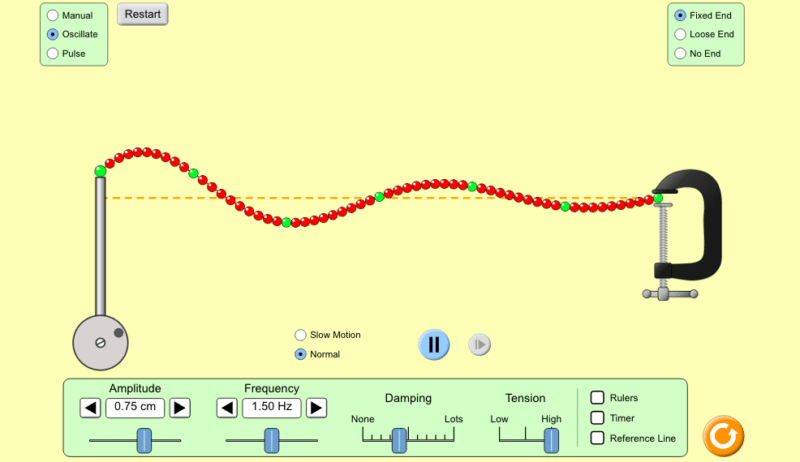 With a curriculum corner, question bank for assessments, a lab area, and a NGSS-devoted page, the Physics Classroom should find its way into your physics classroom. I have recently workshops where other educators have not used PhET Interactives, so I couldn’t exclude this gem. Complete with a teacher-submitted and reviewed lessons to accompany the activities, you can have your students explore from circuits and waves to quantum mechanics. 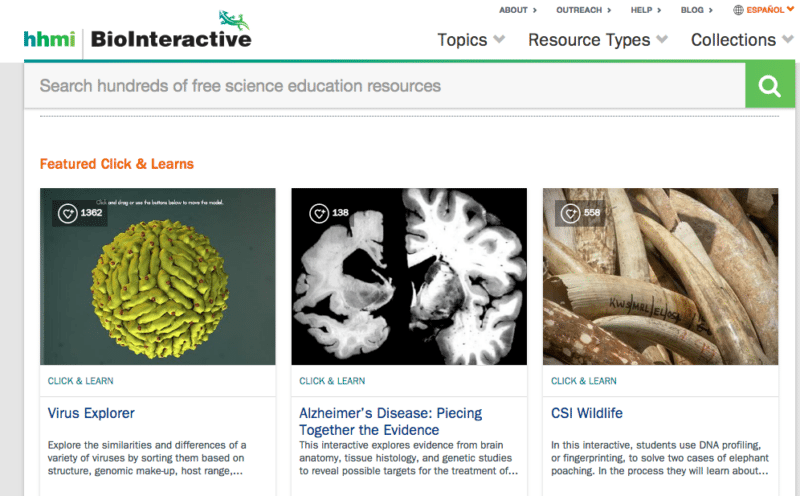 Earth science, chemistry and life science interactives are available. Share My Lesson features hundreds of categorized ready-to-use handouts, labs and lectures submitted by other physics teachers. Includes resources on the conservation of energy and momentum, electromagnetism, fluid mechanics, force and motion, thermodynamics, nuclear processes, and waves. The content from this popular site is comedic, clear and includes helpful algebra and calculus reviews. That means you can focus on the science content without mathematical misunderstandings. What science websites would you add to the list? Come share in our WeAreTeachers HELPLINE group on Facebook. Plus, check out our lists of science books and STEAM apps.